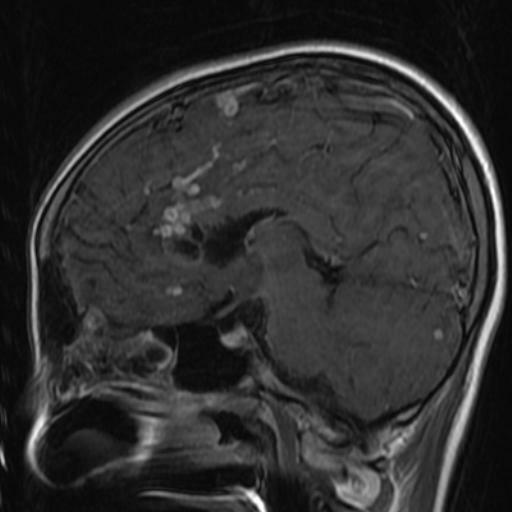 CNS Tuberculosis is still prevalent in many developing countries like india, can present in many radiological patterns, in that disseminated or miliary brain tuberculomas are very rare. I'm describing a case of a 17 y o female, clinically a known case of Tubercular meningitis, now presented with progressive headache and unsteady gait. Immunocompetent as her TRI DOT reports mentions Non reactive. MRI study of brain revealed multiple discrete punctate and ring enhancing focal lesions in supra tentorium as well as posterior fossa suggestive of Miliary Tuberculomas. Her Chest radiograph was normal. Other investigations and clinical examination failed to reveal any evidence of TB outside the CNS. Started on Anti TB drugs showed clinical as well as radiological improvement. 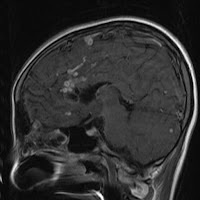 In conclusion miliary brain tuberculomas are rare and unique radiological entity, may affect immunocompetent individuals without any evidence of TB outside the CNS.